The Hemp Road Trip has traveled through 48 states in two years, bringing a pro-hemp message from sea to shining sea. This article was originally published in HEMP’s Issue 3. Subscribe HERE. Ethan Vorhes has long been intrigued by hemp. The sixth-generation farmer from Nashua, Iowa, whose farm produces high-end wagyu beef, planned on growing hemp on the family farm once federal legislation cleared the way. But in 2016, when he encountered the industrial hemp advocate Rick Trojan, who was traveling the U.S. with the Hemp Road Trip, he suddenly became more than interested — he became an advocate. Vorhes met Trojan at a burger restaurant in Des Moines, when Trojan was passing through town on the Hemp Road Trip’s inaugural journey, bound for the Iowa presidential caucus. Vorhes was headed to the Iowa Farm Bureau’s annual Young Farmer Conference, and he stopped to meet Trojan because he wanted to learn more about the benefits of feeding hemp to his cattle, which boosts levels of the anti-carcinogen CLA in meat, but is illegal in Iowa. “Rick was the one who educated me and convinced me that this was the right thing to do, even though the federal government hasn’t changed their stance yet,” says Vorhes. Although Trojan didn’t have all the answers, Vorhes says the meeting motivated him to read scientific papers and talk to experts. He discovered that in addition to potentially raising the market value of his beef, planting hemp as a rotational cover crop would be good for his soil and water because hemp forms a canopy faster than soy beans, is disease-resistant, suppresses weeds and would help him avoid pesticide use. 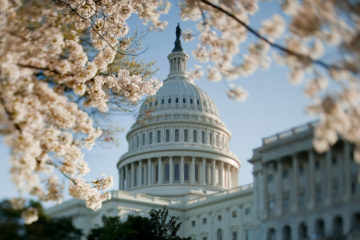 Since his meeting with Trojan, Vorhes has presented about hemp’s benefits to the Iowa Farm Bureau, to state legislators in the Iowa Agricultural Committee and to Iowa Senator Chuck Grassley, the judiciary committee chairman who has blocked multiple hemp bills. Trojan launched the Hemp Road Trip out of frustration. 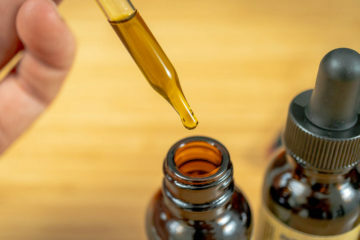 He was the co-owner of a 300-acre hemp farm in Colorado that manufactured CBD dietary supplements from its crops, but federal law prohibited the farm from selling its products across state lines. In the U.S., only imported hemp products are legal. Trojan bought a used, diesel-fueled 1993 GMC bus, rallied a crew and set out to educate America about the value of hemp. On January 29, 2016, they left Denver bound for the presidential caucuses and primaries. Two years, 48 states and five visits to Capitol Hill later, Trojan is no longer naïve — he knows there’s work to be done before American hemp is not only legalized, but being used to its potential — though he is still optimistic. 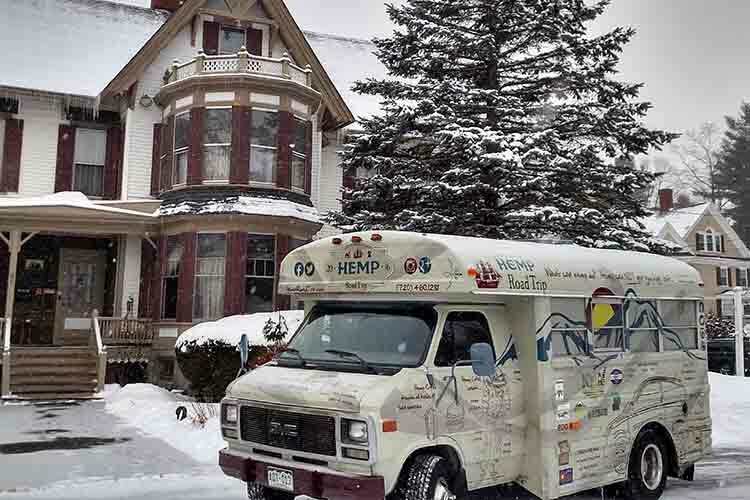 The bus, named “Hempy,” has traveled thousands of miles, criss-crossing North America. The stats back him up: America is the largest importer of hemp in the world, with 2016 retail worth an estimated $688 million. Everywhere Trojan and his crew traveled, people were drawn to “Hempy,” the bus adorned with information about the plant’s uses. 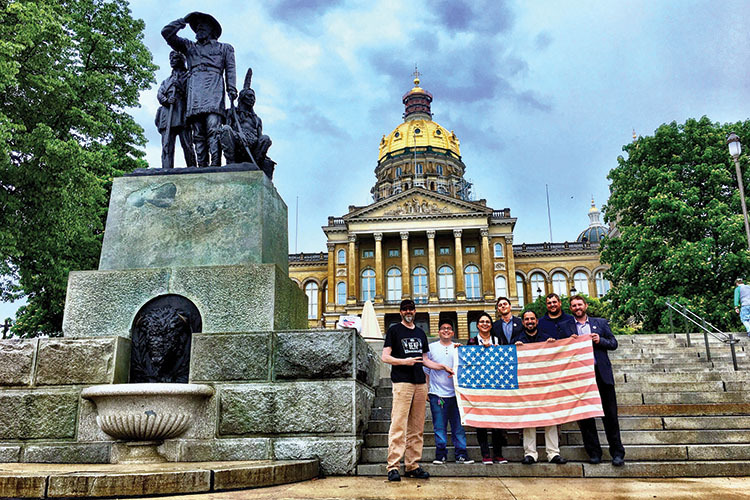 The crew used it as an entry point for conversations as they traveled the country visiting universities, political events, businesses, Native American reservations and legislators’ offices. 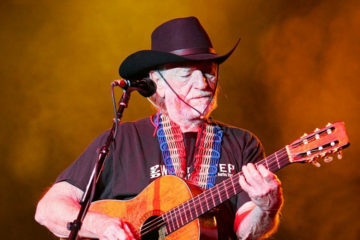 They got a photo with Democratic presidential candidate Martin O’Malley holding an American flag made of domestically grown hemp, brought a hemp guitar signed by Willie Nelson to the Vermont Department of Agriculture and hauled a BMW door panel made of hemp into the Rhode Island Statehouse, where Sen. Susan Sosnowski showed it off to her colleagues. But the Hemp Road Trip also met with misunderstanding. 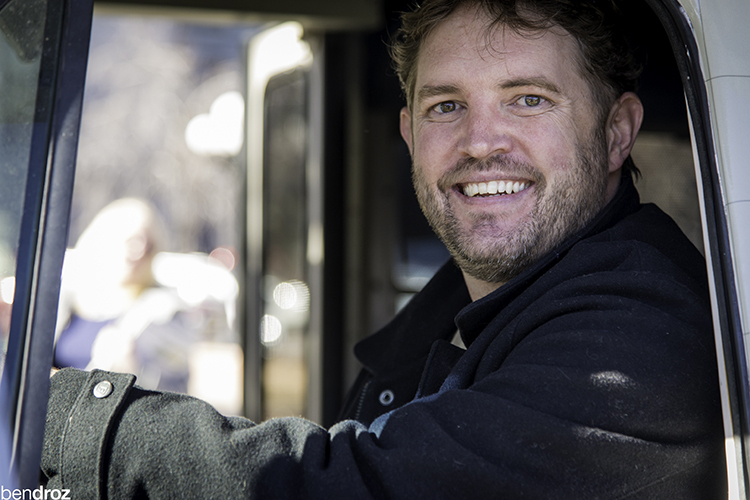 Once, while waiting for a tractor-trailer mechanic to fix a broken strut on the bus, they struck up a conversation with a man in the waiting room. When Trojan told the man he was a hemp farmer, the man refused to shake his hand, afraid it would cause him to fail the drug tests required by his job. “That was a big fight for us, especially on the first trip — just to explain what it is and what it can do,”says Maggie Booterbaugh, an intern who joined the Hemp Road Trip after graduating from University of North Carolina-Asheville. 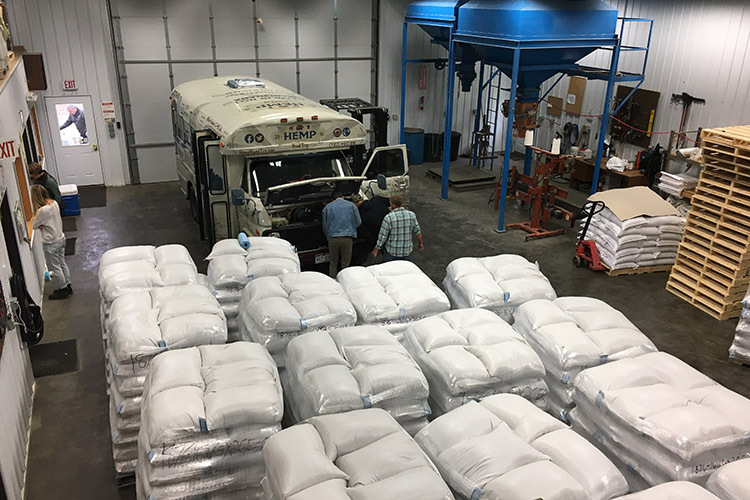 Hemp sits in a warehouse full of DEA-approved viable hemp seeds imported from Canada, which was the largest hemp seed import into America since WWII. As the bus moved westward, the crew morphed and the mission changed with the geopolitical landscape. In Los Angeles, they gathered signatures for a petition in support of the 2015 Industrial Hemp Farming Act in collaboration with the National Hemp Association. In Oregon, they visited hemp farms. By autumn of 2016, they were in the Dakotas delivering food, water and supplies (including CBD and hemp hearts) to Standing Rock. 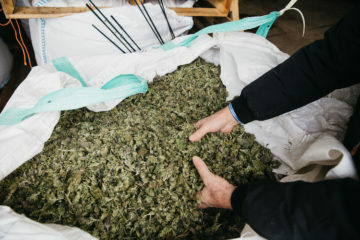 In 2017, Trojan took the bus to visit Grassley and other members of the Senate Judiciary Committee, traveled to Eastern Europe and helped import 66,000 pounds of plantable hempseed into Colorado under a DEA permit, which was the largest hemp deal in the U.S. since WWII. His focus this year is on building coalitions and expanding internationally to places like Israel, Colombia, Japan and the European Union. By inspiring local activists, the Hemp Road Trip has influenced state-level legislation, says Ben Droz, a hemp lobbyist in Washington D.C. (and a contributing editor to this magazine). Droz joined the road trip in the spring of 2017 from Denver through Santa Fe, New Mexico to Austin, Texas, getting a first-hand view of Trojan’s dogged persistence. The Hemp Road Trip stops in Des Moines, Iowa. 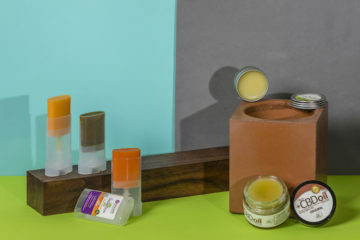 Trojan has funded the project in part with his own money, and in part with sponsor dollars from brands including Dr. Bronner’s, Bluebird Botanicals and Functional Remedies. 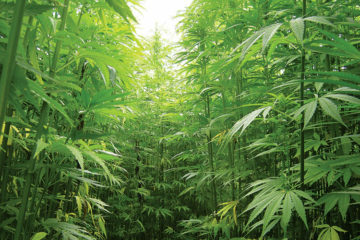 ‘American Hemp Campaign’ Raises Awareness for Hemp’s Potential in the U.S.